Welcome back to week two of the Cupcake ♥ Love Workshop Series. If you missed week one, make sure to check it out. We covered the basics of baking cupcakes and you'll need the Simple Buttercream Recipe included in that post. This week we're going to get a little fancy with our fillings and frostings, my favorite part! Remember my key ingredient from last week? Keep It Simple! I love when recipes pull double duty; today I'll be sharing 3 of my favorite frosting recipes that also make delicious fillings. Helping you to make delicious cupcakes fast. 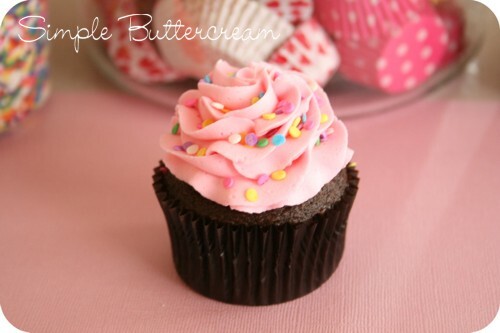 The full recipe can be found on the Cupcake ♥ Love Week One post. Here are some of my favorite variations for the Simple Buttercream. All you need to do is follow the recipe and substitute the almond extract with your favorite flavor. Super easy, right? This is definitely a fun time to experiment! Italian Meringue is light and airy and reminds me of marshmallow fluff. 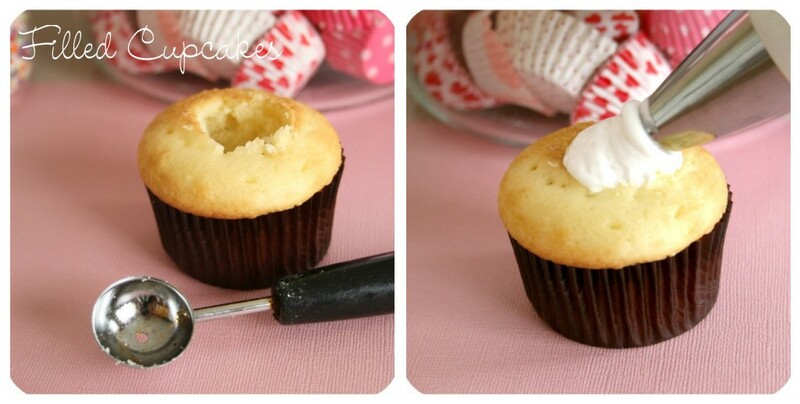 It makes a great filling and is perfect for cupcakes. You can find tons of different recipes for Italian Meringue, but my favorite comes from Martha Stewart. 1. In a large heatproof bowl (I used my double boiler), combine sugar, 1/4 cup water, egg whites and cream of tartar. With a hand mixer beat on high speed until foamy, about 1 minute. 2. Set bowl over a pan of barely simmering water and beat on high speed until frosting forms stiff peaks, about 12 minutes. Frosting should register 160 degrees on a candy thermometer. 3. Remove from heat and stir in vanilla and almond extracts. Beat for another 2 minutes until frosting thickens. A chocolate lover's dream come true! Dip, drizzle and fill your cupcakes with this super simple recipe. Again make sure to use high quality ingredients for a delicious frosting! 1. In a medium sized saucepan attach a candy thermometer and add the heavy cream, butter and vanilla. 2. Over low heat, stirring constantly bring the cream mixture to 180 degrees on your candy thermometer, just before it begins to boil. 3. 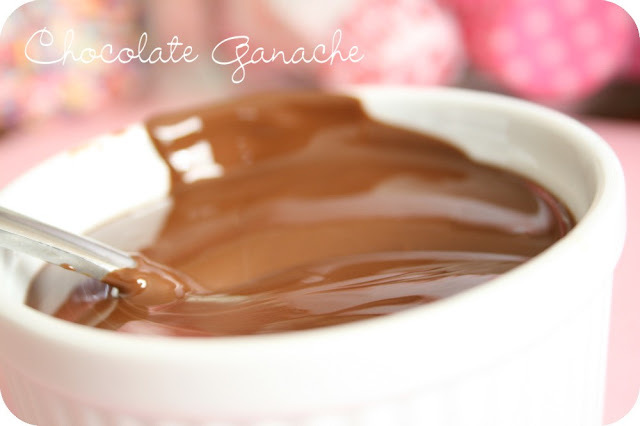 Turn off the heat and add the *chocolate; stir constantly until chocolate has melted completely. For delicious truffles, place the chocolate ganche in the refrigerator in an air tight container. After the chocolate has hardened scoop out 1 inch truffles with a melon baller or add to cupcakes for a delicious truffle filling. *If using bar chocolate, make sure to chop into small pieces. The smaller the piece the quicker your chocolate will melt. 1. With a spoon or melon baller remove the center of your cupcake. 2. 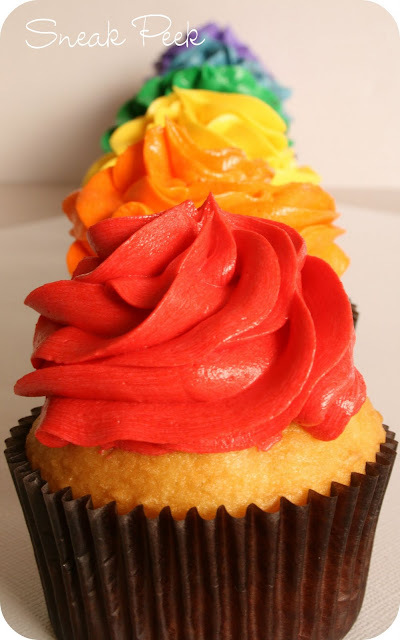 Fill a piping bag attached with a plain round decorating tip with your favorite filling and fill your cupcake. You've now gone from a simple cupcake to a gourmet treat. Make sure to come back next Wednesday for more Cupcake ♥ Love and a FREE download! In the meantime, visit the Tweedle Dee Designs Blog and Etsy Shop for some delicious party inspiration, sweet treats and more. Love, love, LOVE your ganache. I could literally eat it by the spoon full. And the buttercream...to die for. And you make it look so simple to go from mediocre to magnificent. Absolutely stunning visuals, makes me want to bake! Very well done Brandi...loving this segment!! These look delicious! I love the rainbow effect! I do have a question. The icing you made I believe is called "Seven Minute Frosting." 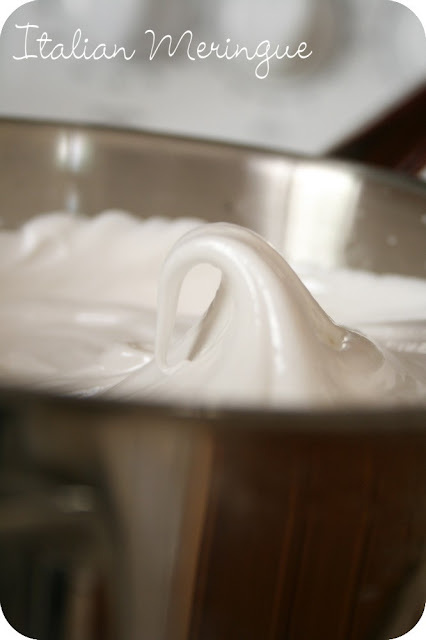 Italian Meringue is usually done by making whipping egg whites and then beating in a sugar syrup. Thank you for sharing! I love the italian meringue... can't wait to see what you'll share next week! Amanda, You're right :) Italian Merringue and Seven Minute Frosting are basically the same recipe. However, Seven Minute Frosting typically calls for the addition of corn syrup. This particular recipe also does not call for a traditional sugar syrup. The ingredients are all added together and whipped over low heat to 160 degrees. It's actually considered a "one step" Italina Meringue. So glad everyone enjoyed the workshop, I'm so excited for next week!